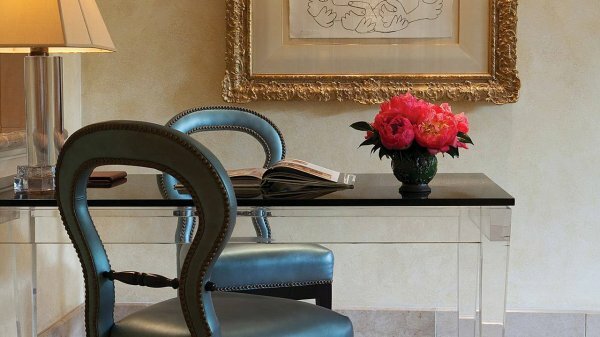 Welcome to Four Seasons Hotel Los Angeles at Beverly Hills. 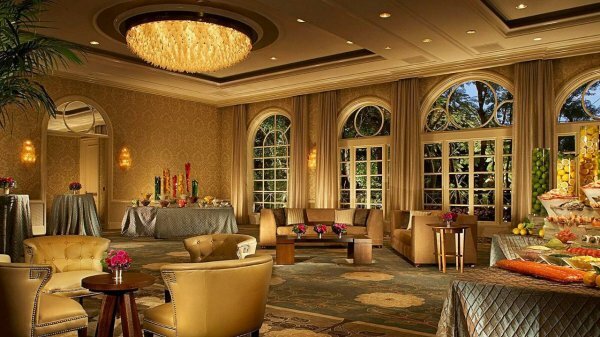 Its inviting Southern California style and high-energy buzz have made Four Seasons a Hollywood icon for decades. Now a complete refurbishment adds modern Italian dining, a larger Windows Lounge, new pool, terrace and whirlpool. From balconies in sun-filled guest rooms to outdoor dining options, this is alfresco living at its best. 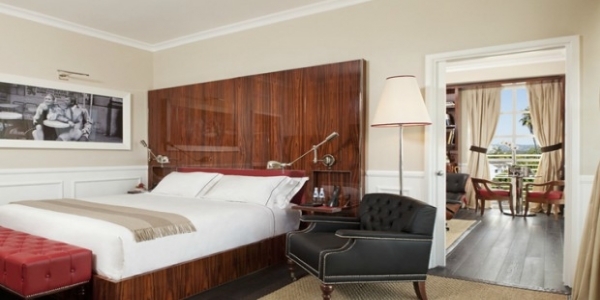 This luxury five-star hotel is conveniently located near Sunset Boulevard, Wilshire Boulevard and Rodeo Drive in Beverly Hills, Los Angeles. Decorated in warm tones to echo the sunshine of Southern California, the Hotel’s 285 spacious guest rooms and suites all feature French doors to a step-out balcony with views of the gardens, the Hollywood Hills, Los Angeles or Beverly Hills. Escape to Los Angeles’ most exclusive sanctuary for the senses, a spa worthy of Four Seasons. Take it all in: the luxurious atmosphere; the oh-so-indulgent services; the exquisite, one-of-a-kind treatments. It’s the perfect retreat – spring, summer, autumn or winter. Relax, rejuvenate and return to indulgence. 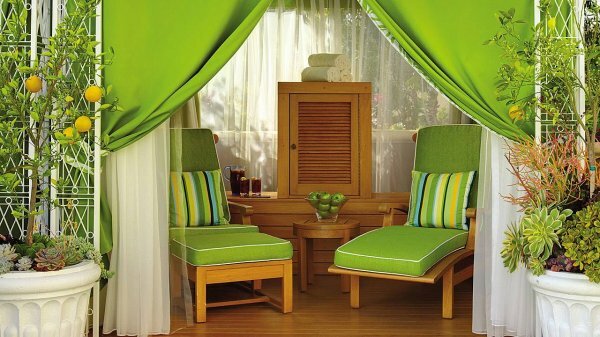 A private poolside cabana, providing outdoor spa services, is available daily for our guests. 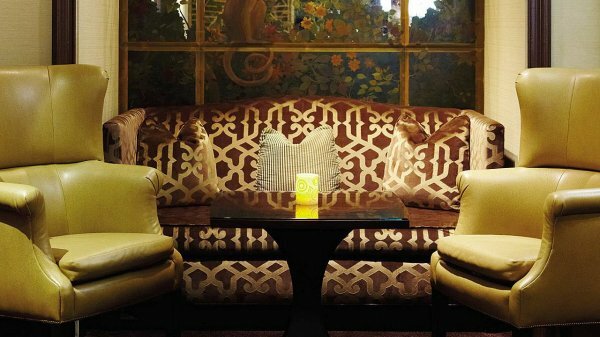 Escape to Los Angeles’ most exclusive sanctuary for the senses. A private poolside cabana providing outdoor spa services is available daily for our Beverly Hills luxury hotel guests. Services include foot reflexology, Swedish or deep tissue massage, manicures and pedicures. Gift certificates and spa packages are available. This summer, enjoy a 60-minute massage classic, followed by a light lunch at the poolside cafe Cabana Restaurant, as well as complimentary Wi-Fi, valet parking and a skincare gift from one of The Spa’s professional lines, for only USD 175 (an approximate savings of 40%). To book this offer, please call (310) 273-4444. First treatment at 7:00 am, last treatment at 9:00 pm. 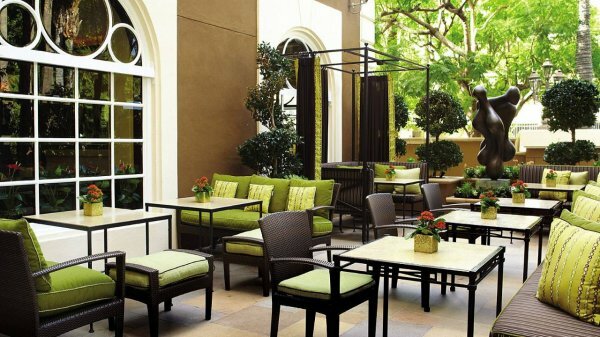 Situated on the fourth-floor pool terrace, the Fitness Centre at the luxury five-star Four Seasons Hotel Los Angeles offers an open-air venue to capitalise on LA’s year-round sunshine. Depending on the weather, it can also be completely enclosed, with temperature controls and windows. PowerPoint is available on all computers. Please contact the Concierge for laptop rentals. 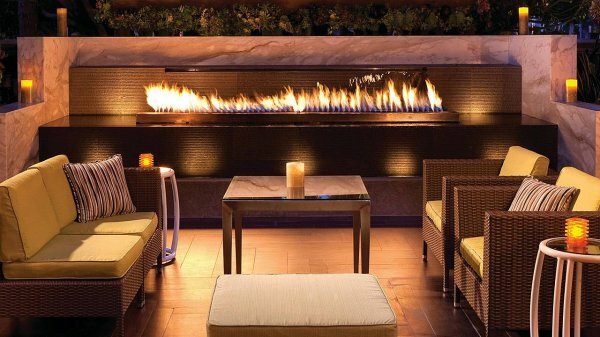 Four Seasons Hotel Los Angeles offers 9,650 square feet (896 square metres) of sunlit function space. Hosting up to 500 guests, the Ballroom features dazzling Venetian crystal chandeliers, bevelled-glass mirrors and arched floor-to-ceiling French windows. For more intimate gatherings, there are 10 distinctive function rooms – nine of which open to expansive terraces or balconies for refreshing breaks. Open-air events may take place under the palm trees in the adjoining Wetherly Garden. 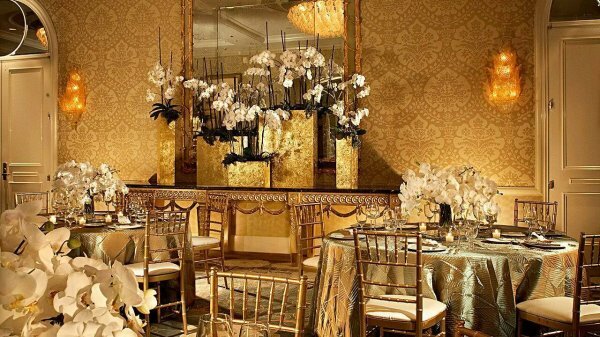 The Ballroom reflects a return to California chic and understated charm. Accessible by a canopied, Italian-tiled promenade through the lush Wetherly Gardens, it is the perfect venue for wedding receptions, luncheons, cocktail receptions and meetings. New décor and beautifully arched windows give natural light to this expansive room. This room acts as a foyer for the Ballroom and boasts a private bar. It is perfect for intimate luncheons and dinners, with an adjacent garden terrace that lends itself to receptions preceding these special events. The Orchid Room is also ideal for board meetings. This room features French doors that open onto terraces adjoining the garden, as well as a private bathroom, pantry and coat closet. A lovely social setting, the room is also equipped for business with high-speed Internet access, a drop-down screen and a scratch board. This room features French doors that open onto terraces adjoining the garden, as well as a private bathroom, pantry and coat closet. The room is equipped with high-speed Internet access, a drop-down screen and a scratch board. The Palm Room features a terrace and private garden, and is suitable for meetings, receptions or outdoor dining. The room is equipped with high-speed Internet access and a drop-down screen. This room features floor-to-ceiling French doors and windows that open onto a terrace suitable for receptions or outdoor dining. 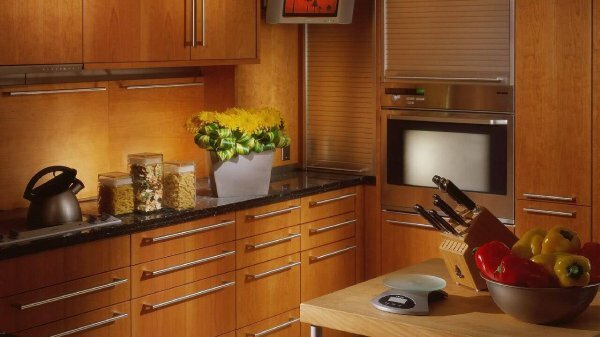 It also offers a built-in bar, iron and marble sideboards and high-speed Internet access. This beautifully landscaped outdoor venue is the perfect setting for wedding ceremonies, daytime garden parties, luncheons or themed cocktail receptions. The Wetherly Garden is accented by a manicured lawn, lush flowers and greenery. This room features double French doors that open onto an outdoor terrace, suitable for receptions or outdoor dining. It also offers a private bathroom, pantry and coat closet. To provide convenience for business events, the room is equipped with high-speed Internet access, drop-down screens and a scratch board. This room features double French doors that open onto an outdoor terrace suitable for receptions and outdoor dining. It also offers a private bathroom, pantry and coat closet. The room is equipped with high-speed Internet access, a drop-down screen and a scratch board. The Burton Room is filled with natural light from French windows and features a foyer area for registration, cocktails or coffee breaks. The room is equipped with high-speed Internet access and a drop-down screen. This room features a permanent boardroom table with swivel chairs, as well as a private bathroom, pantry and coat closet. The room is equipped with high-speed Internet access, a drop-down screen and a scratch board. Our plentiful choice of settings provides flexibility to personalise your event. The Ballroom may be ideal for your wedding reception, with a pre-function area for the receiving line. Or choose one of our other beautiful spaces for an intimate pre-wedding celebration, dinner or outdoor party. 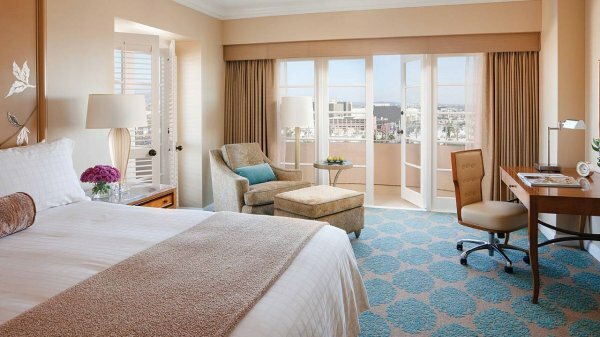 Decorated in warm tones to echo the sunshine of Southern California, the five-star Hotel’s 285 spacious guest rooms and luxury suites near Rodeo Drive all feature French doors to a step-out balcony with views of the gardens, the Hollywood Hills, Los Angeles or Beverly Hills. French doors in the bedroom and living room lead to step-out balconies, overlooking downtown Los Angeles, Beverly Hills or the landscaped garden. Another set of French doors separates the bedroom and living room, creating a private area for work and relaxation. 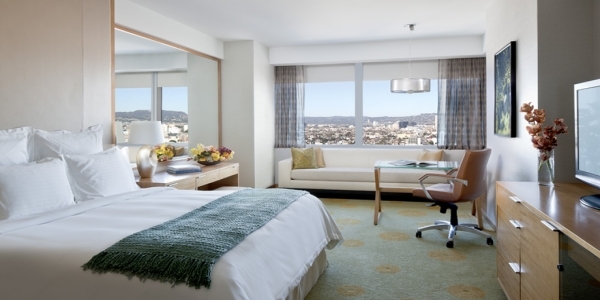 Located throughout the five-star Hotel, these suites offer views of downtown Los Angeles, Beverly Hills, the landscaped garden or the front of the Hotel. French doors offer the privacy of separate sleeping, living and working areas. 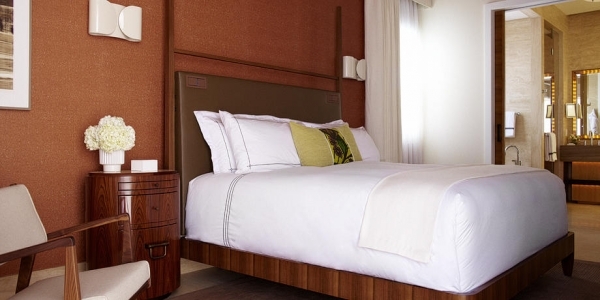 Our spacious Studio Suites at five-star Four Seasons Hotel Los Angeles at Beverly Hills feature oversized walk-in closets and additional seating in the living area – ideal for long-term visits. Take in the views of Beverly Hills, or relax in the comfortable living area. 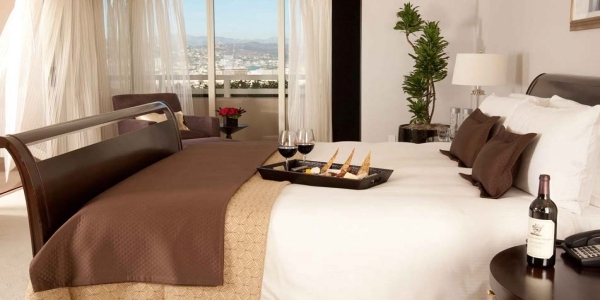 From these rooms at the five-star Four Seasons Hotel Los Angeles at Beverly Hills, take in views of the Hollywood Hills, Los Angeles or Beverly Hills, or relax in the comfortable living area. Equally spacious, higher-floor Deluxe Balcony Rooms overlook Los Angeles or Beverly Hills, while lower-floor rooms view the five-star Hotel’s lovely gardens. VIEW:	Higher-floor Deluxe Balcony Rooms overlook Los Angeles or Beverly Hills; lower-floor rooms afford views of the lovely gardens. 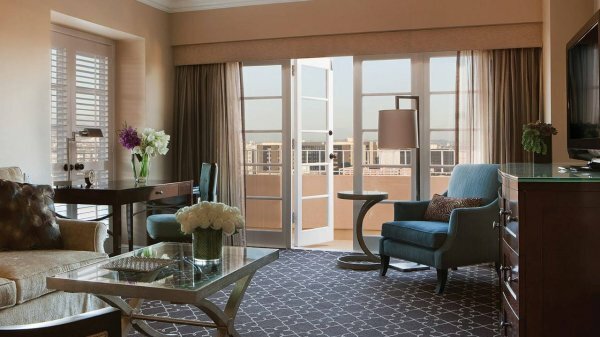 Superior Balcony Rooms offer views of the city and the front entrance of the five-star Four Seasons Hotel Los Angeles at Beverly Hills. 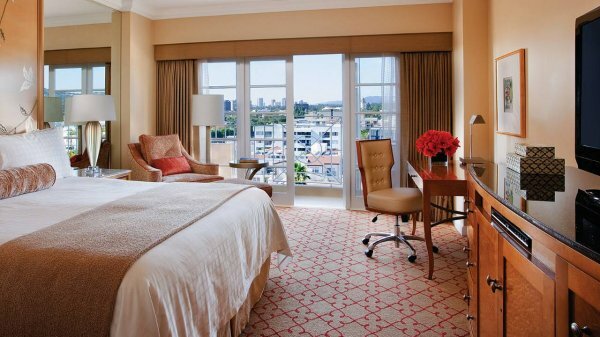 These rooms offer views of the city and the front entrance of the five-star Four Seasons Hotel Los Angeles at Beverly Hills. The spacious Presidential Suite East at the five-star Four Seasons Hotel Los Angeles at Beverly Hills features a modern design with a penthouse feel and eight walk-out balconies, each offering panoramic views of the Hollywood Hills and downtown Los Angeles. 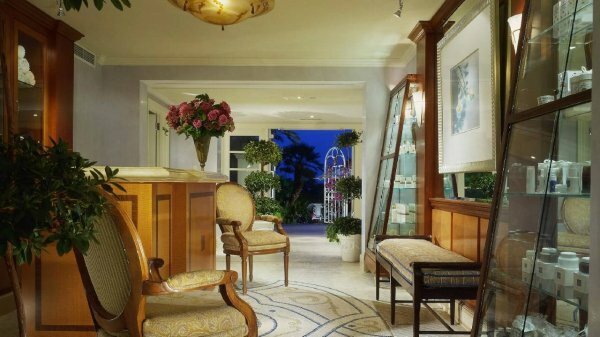 Highlights of the 2,398-square-foot (223-square-metre) Presidential Suite West at the five-star Four Seasons Hotel Los Angeles at Beverly Hills include a black marble foyer, spacious living and dining rooms and an adjacent bedroom. The six step-out balconies offer views of Beverly Hills and the Bel Air hills. 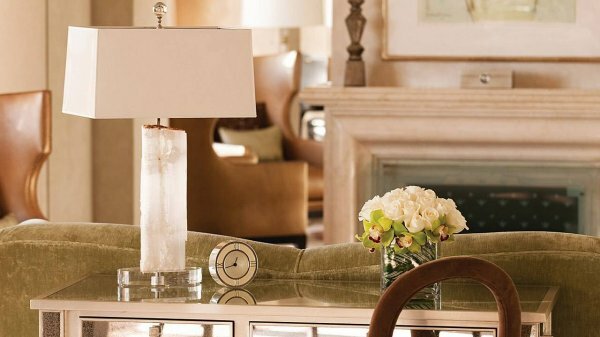 With an elegant marble foyer and decorative fireplace, this 1,809-square-foot (168-square-metre) suite has gracious spaces, making it ideal for entertaining at the luxury five-star Four Seasons Hotel Los Angeles at Beverly Hills. Four step-out balconies overlooking Beverly Hills complement this two-bedroom suite. The uniquely decorated Premier Suites at the luxury five-star Four Seasons Hotel Los Angeles at Beverly Hills offer three step-out balconies and panoramic views of the city and surrounding mountain areas. The Premier Suite is perfect for entertaining family and friends. 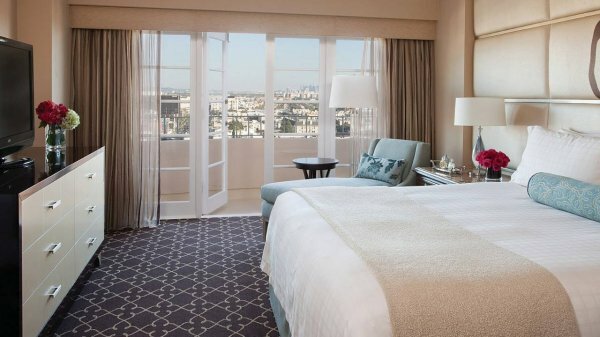 Located on the 16th floor, the Grand Luxury Suite at the five-star Four Seasons Hotel Los Angeles at Beverly Hills affords panoramic views of the Hollywood Hills and downtown Los Angeles and includes two step-out balconies. 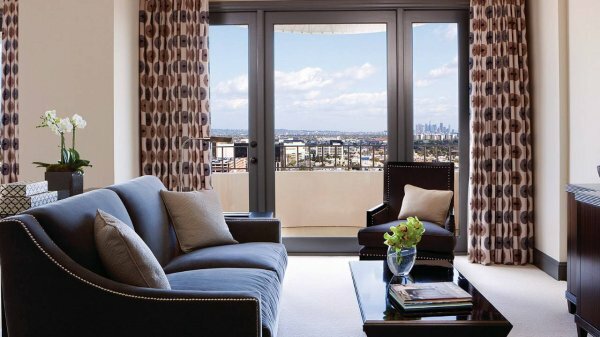 In the Luxery Suites on the upper floors of the five-star Four Seasons Hotel Los Angeles at Beverly Hills, French doors lead from the living area to a wraparound balcony that offers a panoramic view. These suites promote privacy and comfort through the separation of the living area and bedroom by solid double doors. 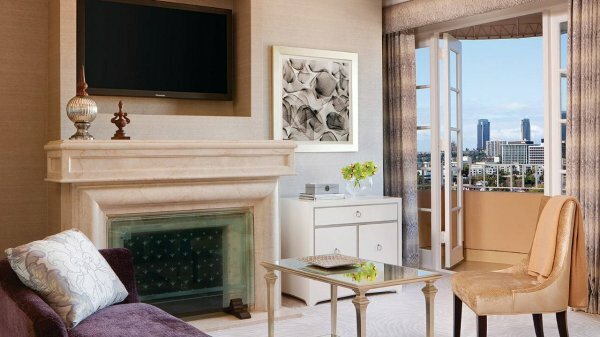 The One-Bedroom Suites at the luxury five-star Four Seasons Hotel Los Angeles at Beverly Hills offer the privacy of a bedroom and living area separated by solid double doors. 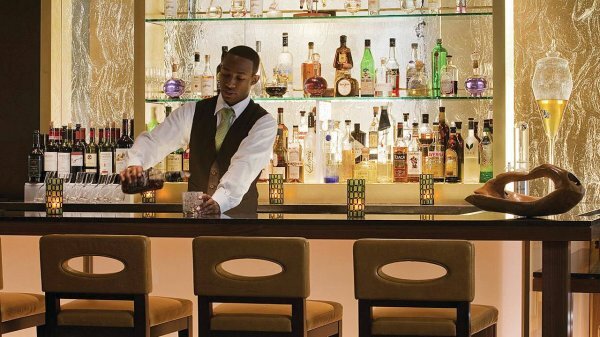 our Seasons Hotel Los Angeles offers a wide range of fine dining options in Beverly Hills – from modern Italian cuisine at Culina, Modern Italian, to sophisticated cocktails at the always buzzing Windows Lounge. 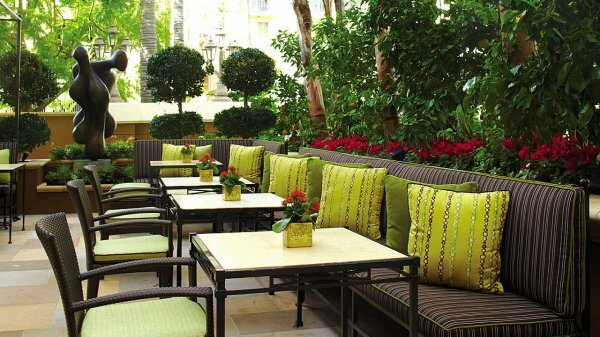 Located adjacent to the pool on the fourth floor of Four Seasons Hotel Los Angeles, the newly renovated Cabana Restaurant offers casual all-day dining every day. A children’s menu is available. Capturing the cosmopolitan ethos of Los Angeles, Culina, Modern Italian – recently named one of the nation’s best new restaurants by Esquire magazine – features LA’s only crudo bar, a spacious patio, two lounges, a contemporary dining room and two private rooms for entertaining. Guests can enjoy Mediterranean raw seafood delicacies at the crudo bar, or settle in for a night of superior dining under spectacular glass chandeliers in the main room. Outside, a spacious patio features a unique fire-water fountain. Set amid a stunning indoor-outdoor design that blends simplicity with elegance, Culina, Modern Italian, is open for breakfast, lunch and dinner, seven nights a week. 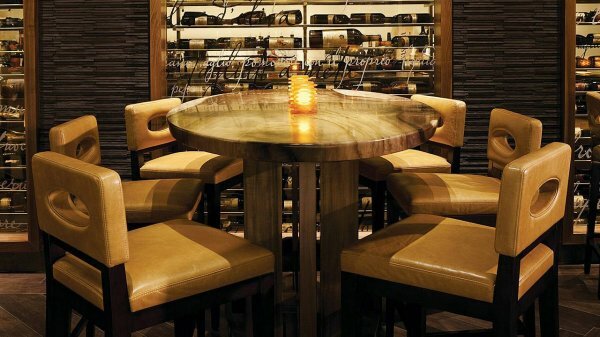 The menu offers enticing appetisers from around the world, with specialty martinis and an extensive wine list. Guests can enjoy live music Thursday through Sunday. 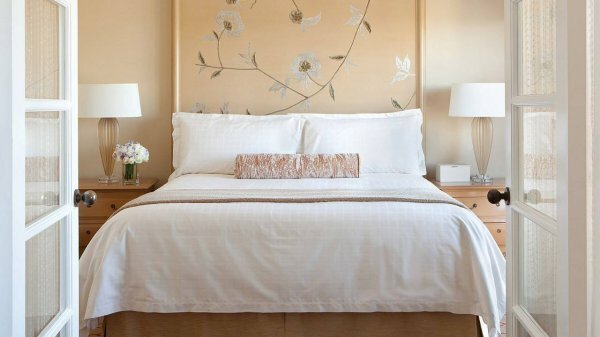 Four Seasons Los Angeles In-Room Dining is a fine-dining experience within the comfort and convenience of your guest room or suite. Choose from an extensive menu – day or night – that is ideal for time-zone-hopping travellers and impromptu meetings, or for quiet, private dining. In-Room Dining is available 24 hours a day. Snacks available 24 hours a day.